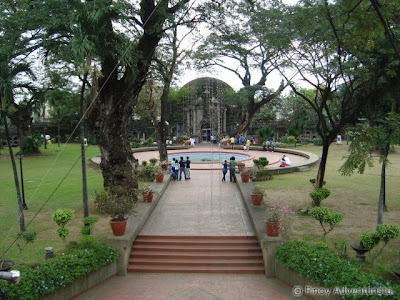 Paco Park was once Manila’s municipal cemetery during the Spanish colonial period. Most of the wealthy families during that time interred the remains of their loved ones here. 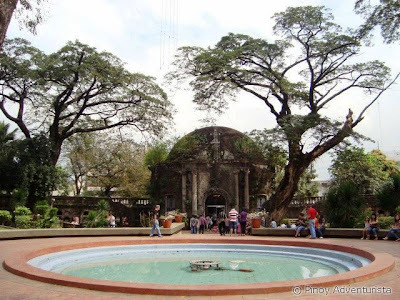 Tough it was originally planned as a municipal cemetery for the well-off and established upper-class Spanish families who resided in the old Manila, it was also used to bury victims of a cholera epidemic that swept across the city during that time. 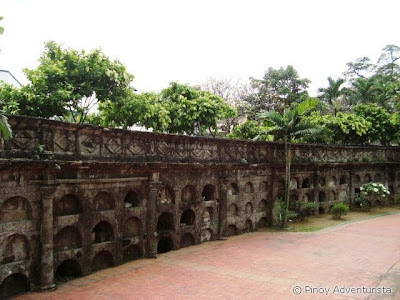 Located along Gen. Luna St., it is a 4,114.80 square meter cemetery designed by Nicolas Ruiz. 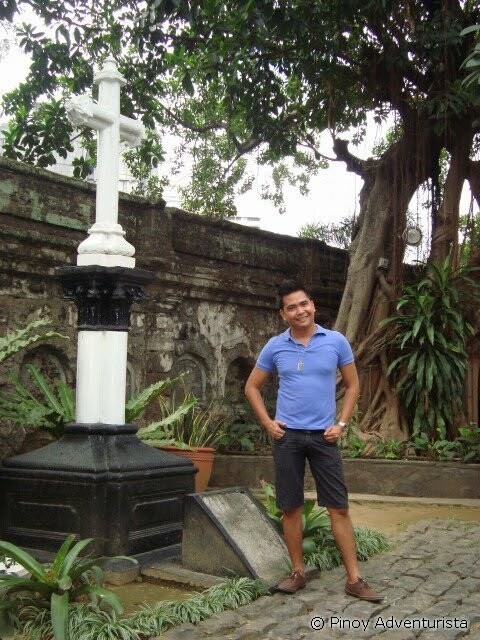 Its construction was completed in 1820, and probably one of the oldest cemeteries in our country. It is consist of two circular walls containing three levels of niches with pathways on top of it. 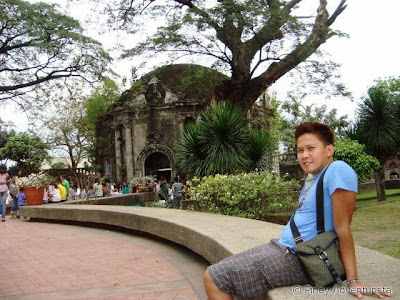 A Roman Catholic chapel was also built inside the walls of the Park and is dedicated to St. Pancratius. It is now under the care of the Vincentian fathers who also manage the nearby Adamson University. 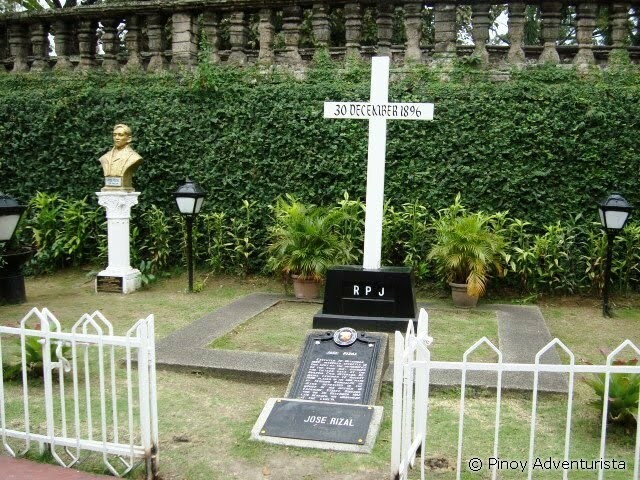 Our national hero, Dr. Jose Rizal was secretly interred here by the Spaniards after his execution in Bagumbayan in December 30, 1896. 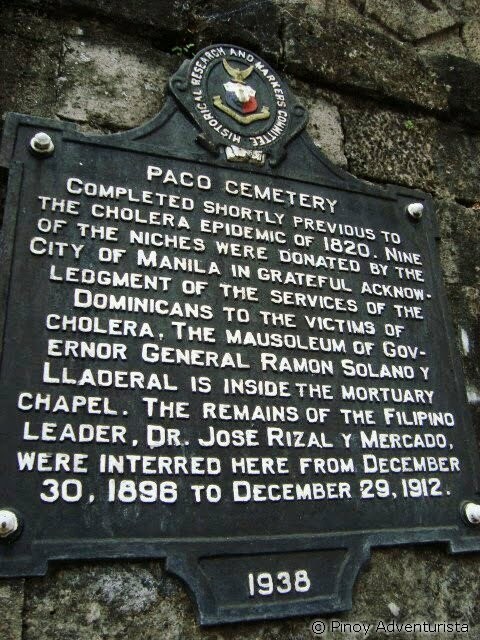 His remains were exhumed in 1912 and was laid beneath the monument at Luneta Park. It is also the final resting place of the three Filipino martyr priests, Mario Gomez, Jose Burgos and Jacinto Zamora, who were executed by the Spaniards in 1872 for their participation in an uprising against Spain. Happened last February 6, 2011, it was only my first time to visit this park. Hehehe! 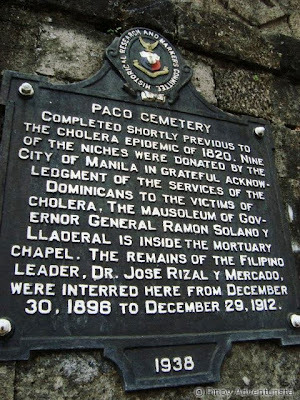 This will now be included on my list of centuries-old cemeteries that I've visited around the Philippines. You may also read my posts on Nagcarlan Underground Cemetery in Nagcarlan Laguna and the San Joaquin Campo Santo in San Joaquin Iloilo. Posted on March 06, 2011 Categories: Cemeteries , Churches , Metro Manila , Trip ko 'to..
@halojin-onga eh... na miss ka na ng blog ko... hahaha!!! thanks!!! such a great place and amazing architecture! nice, have you seen the part of the wall with skulls? it's kinda creepy there if you'll go alone. I've been here once, I think. The place means a lot to me since dito kinasal ang parents ko. :) Thanks for sharing! i agree with lakwatsera de primera. read another story about this place. ako pang nakatira sa metro manila. tama, mapuntahan nga!!! iba ang ambiance! @Ivan - nope, di ko yun napansin.. creepy nga kung ganun... hehehe!!! @Lakwatsera - yup! masarap mag spend lang ng time d2... tahimik... hihihi! @Pinoy Boy - lapit ka lang pala eh... punta na! 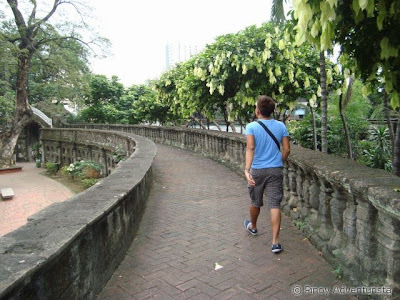 @GQ - tama.... masarap din i-explore ang Manila... gow! tumbling lang po... hahaha!!! what are the promotional activities of paco park? ask ko po kng what day and time open ung park? did you notice po ba? mga 8am cguro open na yan... hehehe!